From The New Yorker magazine: What if the New York City subway map paid homage to some of the city’s great women? I love this map from Rebecca Solnit’s new book, Nonstop Metropolis: A New York City Atlas (University of California Press, 2016) which was co-edited by Joshua Jelly-Schapiro. Like so many of life’s most wonderful things, I was made aware of this map by Maria Popova in her blog, Brainpickings. Having read several of Solnit’s books in the past, I’m really looking forward to reading this one, especially since I’ve lived in New York and love it. And of course there’s my love of trains! If I were still a college professor, I can imagine creating a whole course around this one map. I think it would be the best class ever. 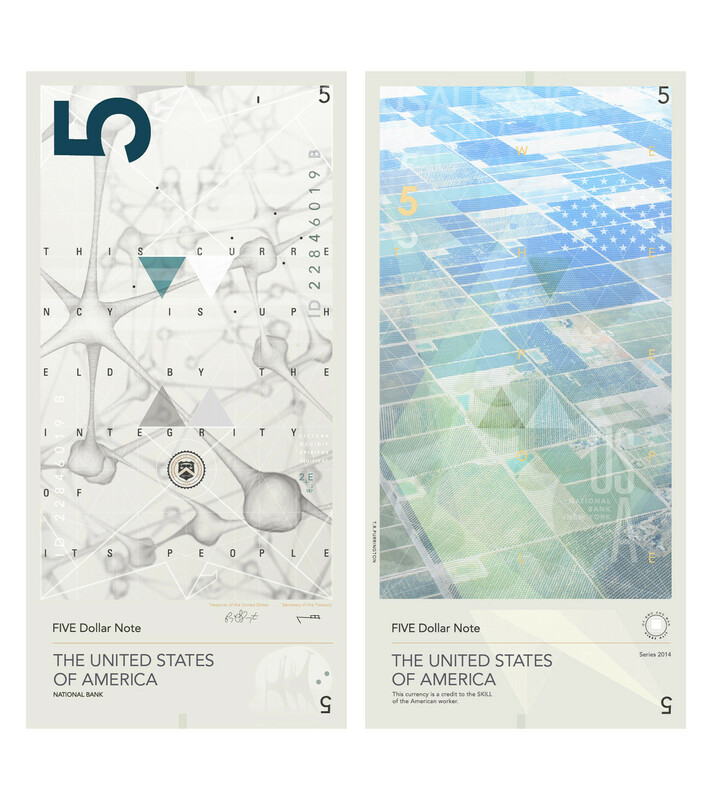 As part of a master’s thesis design project at the Basel School of Design in Switzerland, Purrington developed new versions of U.S. currency. 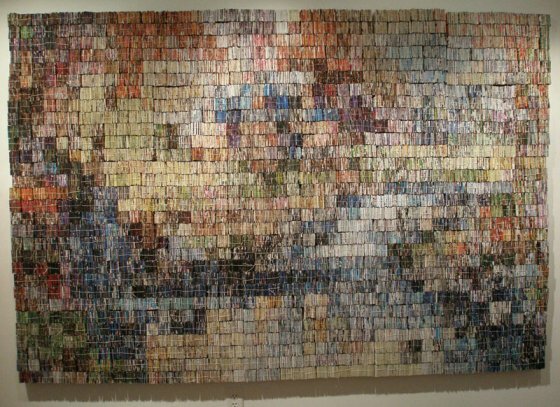 He based his designs on his study of other world currencies and America’s currency history. The resulting bills use imagery from the arts, nature, and science. Specifically Purrington samples the DNA helix, farmland, circuit boards, and the art of Alexander Calder. Beautiful! The current exhibit at Rice Gallery is “Garden Object,” an installation by Rosario Hurtado and Roberto Feo, who run a design studio called El Ultimo Grito. The garden they’ve created at Rice is rather otherworldly, as gardens go. Here’s a link to the “making of” video, definitely worth 2 minutes of your day. 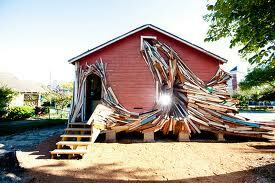 For more information, including the artistic statement, visit the Rice Gallery site. 2) Smashing Magazine continues to share monthly desktop calendar imagery. 3) Pixelgirl collects some great imagery for the computer contemplation. This fried egg comes from Marceline Smith. 4) Just Eleanor has free downloads from her magical work as a graphic designer and artist.